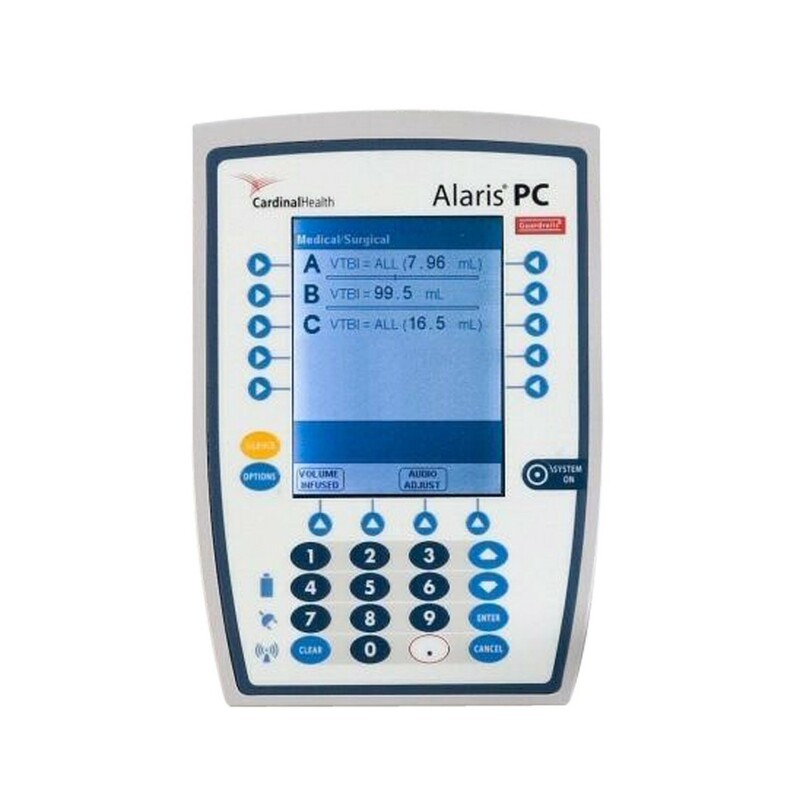 Buy or rent pre-owned, recertified Carefusion Alaris® 8015 PCU Infusion Pump you need today. All pre-owned medical equipment is patient ready equipment and is covered by an OEM matched warranty. System configuration parameters stored in volatile memory are retained for at lead six months by internal backup lithium battery. Module specific parameters are stored for eight hours when system is turned off. After eight hours of continuous off time or if model is detached, module specific tend data and module specific operating parameters are automatically purged.